Timing does matter even when you cannot control exactly when you get pregnant. With such a variety of birth control options available, it can be difficult understanding how to get pregnant once you've discontinued. This guide can help you get started. When adoption is your preferred option, you have a few more decisions to make to get started. Never tried yoga? No problem! You can still use it to get you ready to conceive. Baby Fever: Why Do I Want a Baby So Badly? Wanting a baby is a natural impulse, but does wanting it mean it is time? Tracking can be easier if you have computerized features to help! 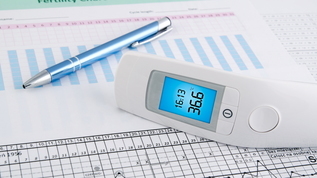 OPK as HPT: Can I Use an Ovulation Prediction Kit as a Pregnancy Test? If you've thought about using an OPK for an HPT, know the factors that affect your results. Negative Blood Test: Could I Still Be Pregnant? You'd be surprised all you can know about how fertile you are right now just from your body.